It's our new exercise/fitness equipment. It's a Nautilus Mobia treadmill/climber that we got last week. 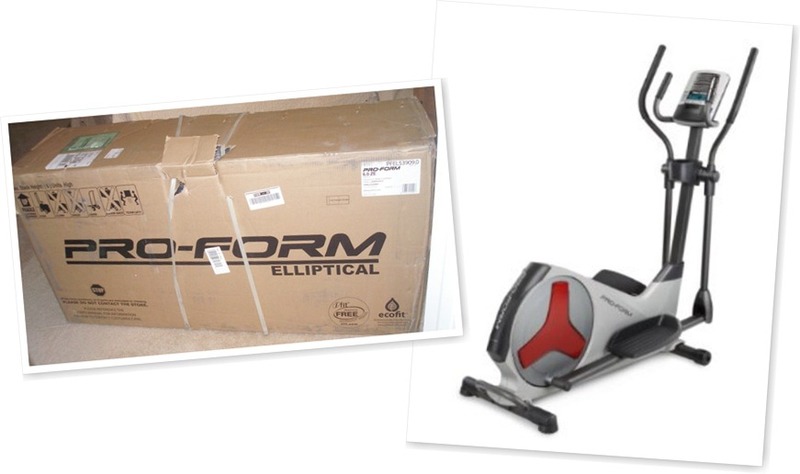 ...an elliptical which I got as a Christmas present from hubby last year...which we already sold to somebody we know. Hopefully it will help the new owner as much as it helped me. Well, that will depend on how much the new owner will use it since just like any other fitness equipment, this one will only yield the desired result if it's used, right? So why the switch? Because we need one that both the husband and I can use. He tried using the elliptical for a few months and it definitely helped him lose some weight. But in the long run, it became less comfortable for him when he's using it. Primarily because the machine was sort of 'designed' for me. It was originally for my use only but when the need for him to lose weight [to improve his cholesterol] came about he also started using it. But as much as it's helping him stay in shape, it's also hurting his back & knees so we didn't have a choice but to find something else that we can both use and benefit from. It's only been a few days since we got the Mobia. I can't say I like it more than the elliptical [yet] but I'm hoping I would be in the weeks to come. Wow, nice fitness equipment! I wish we could have an exercise equipment too. Kailangan yan talaga for fitness. Problem lang dito no extra space for it. Ang suggestion naman ni Tom, sumama na lang daw ako mag bike sa kanya. Ngek! Fine with me if it's only around the village, ang kaso outskirts of Metro manila sya e. Asthma abutin ko nun! Lol! Enjoy your new equipment Huling! Stay young and beautiful!